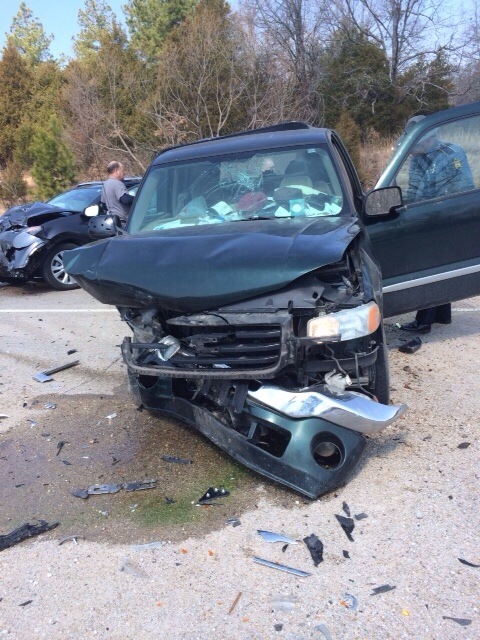 Black Rock Police, Black Rock Fire, Lawrence County Sheriff’s Deputies and AET Ambulance were all dispatched to the intersection of Hwy 63 and Hwy 117 on Wednesday afternoon after the Lawrence County Dispatch Center received a 911 call reporting an accident. The accident is currently being investigated by the Arkansas State Police, but according to reports two people were transported to area hospitals for injuries received in the accident. For more information on the Lawrence County Sheriff’s Office and AET Ambulance visit www.lawrencecountysheriffsoffice.com or www.aetambulance.com .